The Hidden Story provides consultancy services to tourism businesses and communities. Our services are tailored to work with individual businesses and groups at various stages of development, from early stage animation and capacity building through to the development and roll out of strategic plans. Our targeted approach is shaped and driven by the needs of the individual business, network or group to yield maximum benefit. We believe that engaging tourists through stories is the cornerstone of creating immersive and memorable experiences and we at the Hidden Story can assist tourism providers to deliver an exceptional tourism experience. Storytelling Training - adopting a 'Find it, Tell it, Sell it' approach and the 'Interpretative Guiding and Storytelling' programme. Activating and supporting groups to define their destinations tourism proposition and create action plans for future development. Individual on-site story, marketing and business development. Our team is highly experienced in writing strong funding proposals. We work with you through all the necessary steps to develop the strongest business proposal possible. Research - What's the Story? Sourcing and creating stories for attractions and destinations feasibility studies. We hold a particular interest and expertise in story based tourism that can help attractions and destinations align to the Ireland’s Ancient East brand promise. Siobhán has extensive experience in rural tourism development with both businesses and communities and is an approved Interpret Europe trainer. 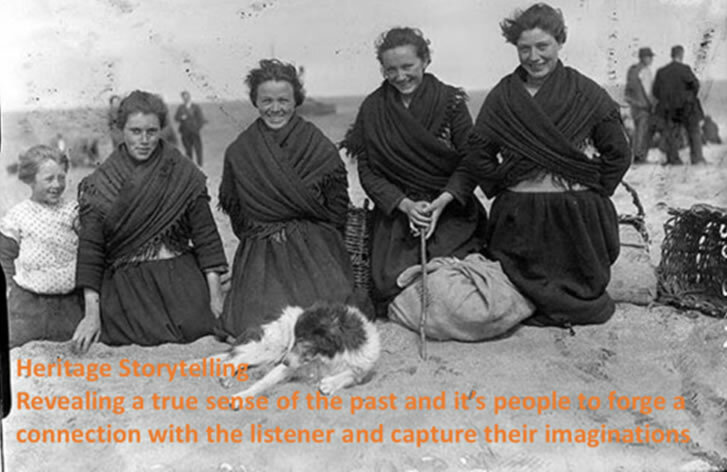 Jacqui has managed many tourism and heritage projects and has researched storytelling in tourism extensively. Turtle is a historian and award-winning author with extensive experience in unique stories and presenting them to tourists.